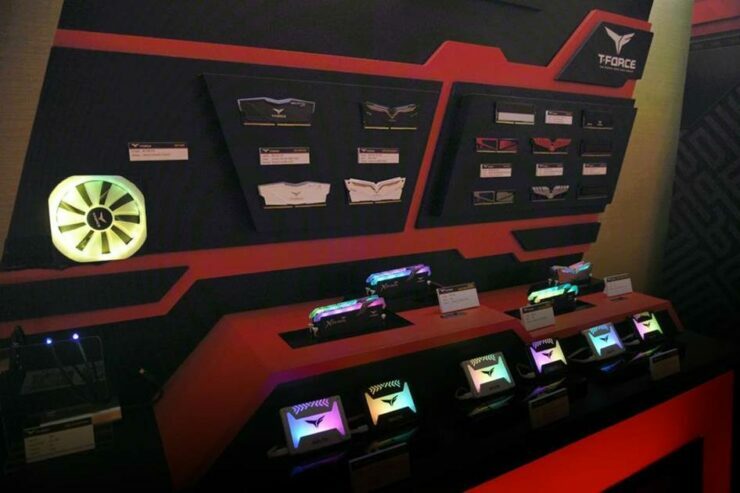 With a variety of product lines and their new T-Force RGB products aimed at gamers, Teamgroup will be displaying new products that are prototypes in R&D but also will be displaying T-FORCE gaming memory modules, which received both the 2018 German iF International Design Award and the 2017 Japan Good Design award. 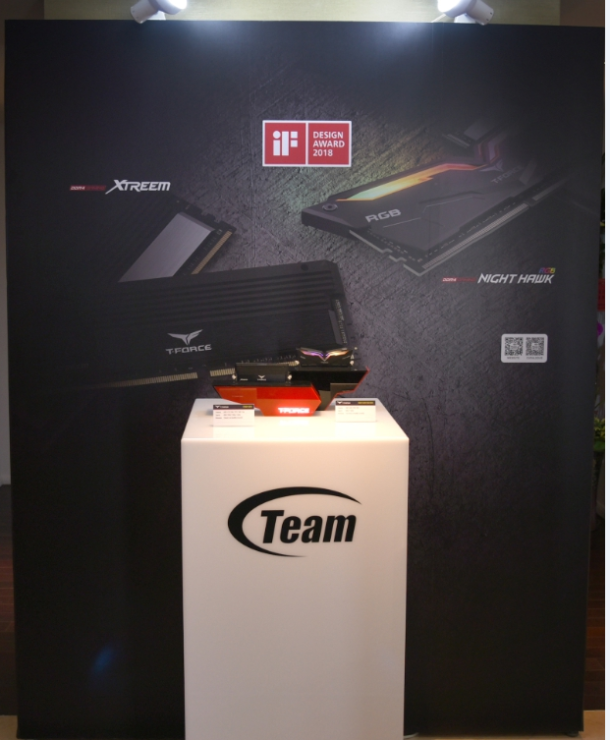 Teamgroup shows off their T-Force Night Hawk RGB luminous memory module, and the T-Force Vulcan TUF Gaming Alliance memory kit which as been certified and strictly tested by TUF Gaming Alliance, this product has a maximum frequency of 3600MHz and unique asymmetrical cutting. The heat spreader is stenciled with the TUF military-inspired digital pattern, which is suitable for gamers who love military style design. Supported Intel XMP 2.0, T-FORCE VULCAN TUF Gaming Alliance enables overclockers to experience high-speed performance easily. 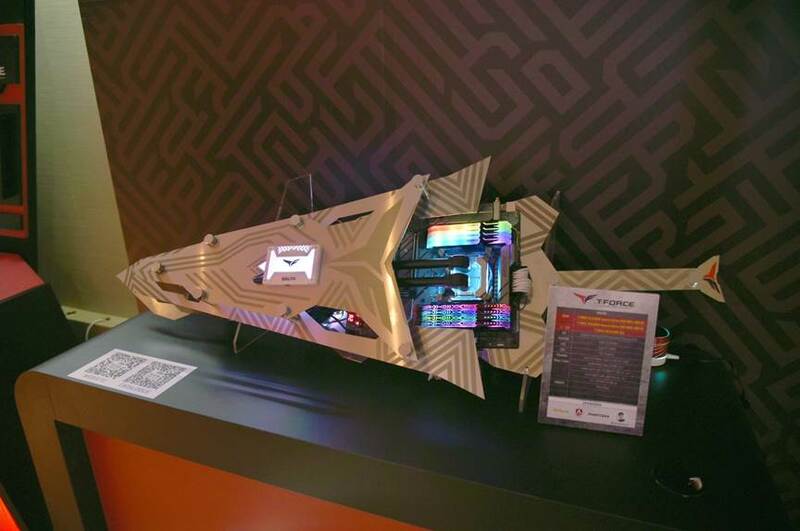 Teamgroup shows off its T-Force Xcalibur RGB memory, the design not only adds unique totem elements on the light guide but also transforms the “TF”, which are the initial letters of T-FORCE, into an eye-catching handle of the king’s sword on the heat spreader. Two ultra-high frequencies, DDR4 3600MHz and 4000MHz are released simultaneously and support a total capacity of 16GB (2x8GB). With selected Samsung IC chips and strict testing standards, they offer excellent quality, optimal performance, stability, and compatibility. They also are showcasing their new RGB solid state drive, the Delta RGB SSD which you guessed it is an SSD with RGB LEDs all over it and is the only 9.5mm luminous SSD on the market but it has a ratio of 5:3 on its luminous (read lit up) area which is the largest in the industry. It is also the only RGB solid state drive with water flowing lighting effects. The color and light can be synchronized with the motherboard to create mixed color effects which should mean its addressable RGBs. Teamgroup also has revealed its Vulcan SO-DIMM which is designed for gaming laptops and NUCs, the clock frequency gets up to 3600MHz, a rarity on notebooks and has capacity of up to 32GB. The lightweight and thin graphene copper foil heat spreader can offer high levels of heat disbursement. In a closed space, VULCAN SO-DIMM is capable of transferring heat out efficiently to ensure the computer can still offer high performance with speed and stability under high-speed operation. The MP32 solid state drive supports PCIe Gen3 x2 high-speed interface and the latest NVMe specification. Its outstanding performance of sequential read/write speed up to 1500/800 MB/s makes it capable of reducing operating delays of the OS/game or other software. 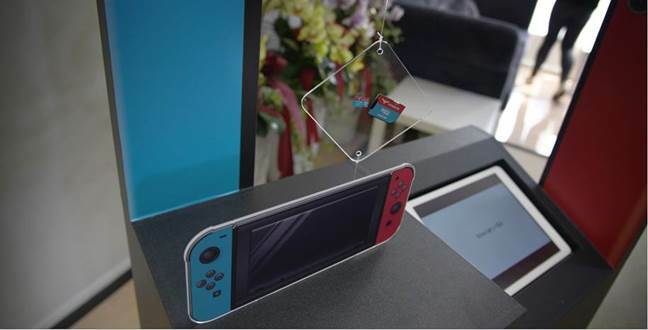 It delivers the finest and smoothest gaming experience and an extremely high-speed performance without any lag even when reading/writing large amounts of game data, complex 3D graphics and motion processing algorithms with fancy special effects, or loading heavy duty video/graphics editing software. The MS30 is a M.2 high-speed solid state drive with the latest SATA III 6Gb/s transfer interface which offers excellent transfer efficiency and compatibility. 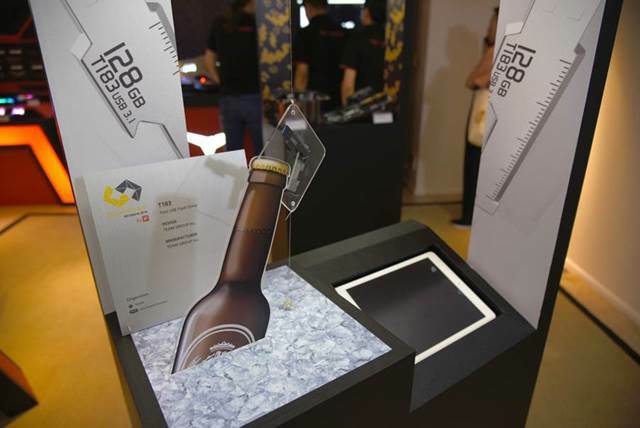 For different environment usage, the MS30 comes in two sizes, 22X80mm and 22X42mm with capacity at 1TB. That means it is capable of satisfying all kinds of specification requirements for motherboards, laptops, and mobile devices and of developing embedded devices.